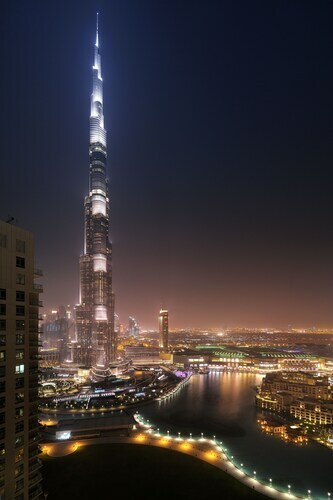 Great location, overlooking Dubai Fountain an withview og Burj Khalifa. Based in the Business Bay Area, the hotel is within walking distance to the Dubai Mall (around 30 mins) and has a complimentary minibus shuttle service which runs daily for drop offs and pick ups, which makes for easy visits to the Mall, Burj Khalifa and Dubai Fountain. I would recommend the short walk to TGI Friday, booking a balcony view seat overlooking the Dubai fountains!